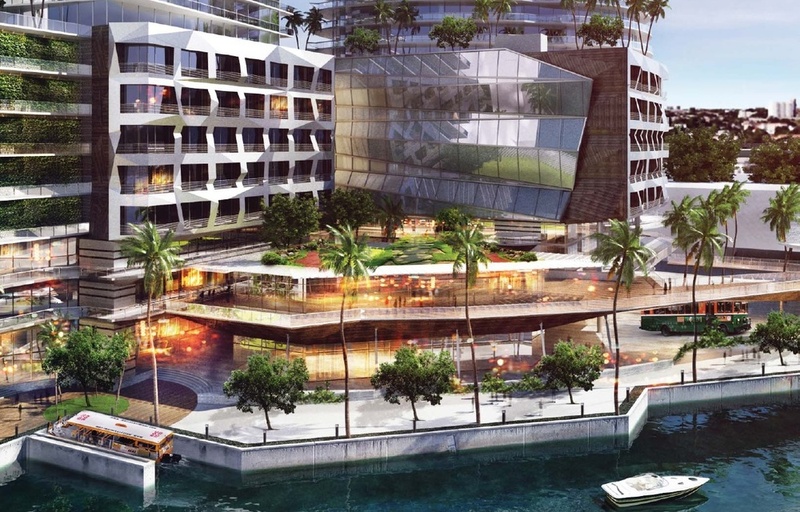 More details have emerged on Chetrit's Group Miami Riverwalk from Miami Today. 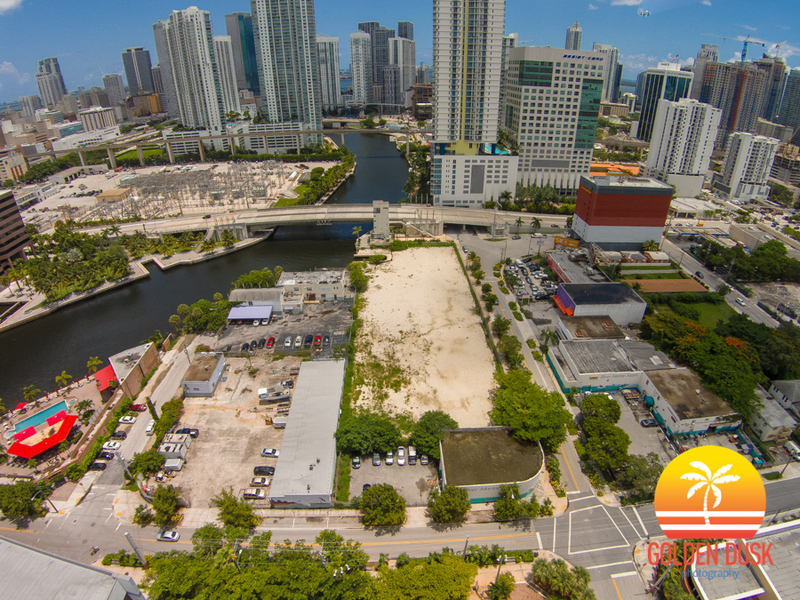 Since announcing their plans to build four 60 story towers, which will include 1,762 units, 246 hotel rooms on 6.5 acres of land, Chetrit Group has bought land around the area including the bar Finnegans on the River. 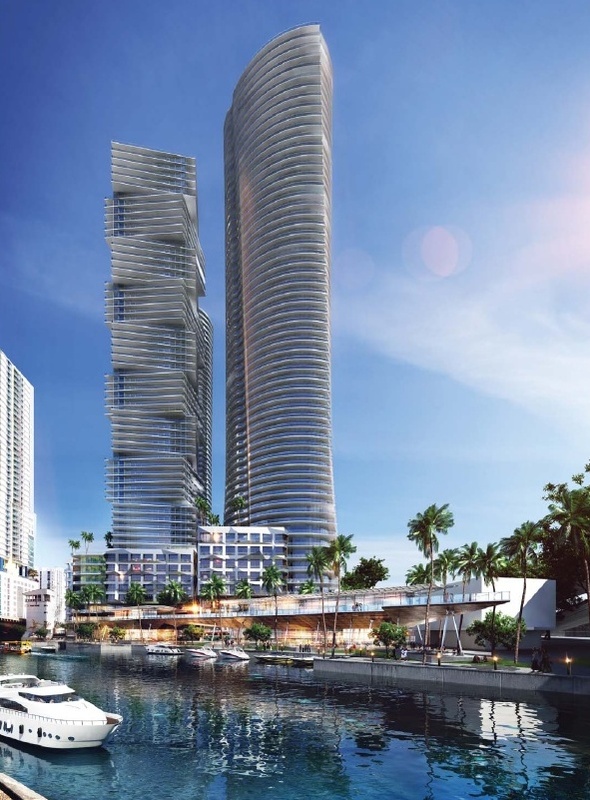 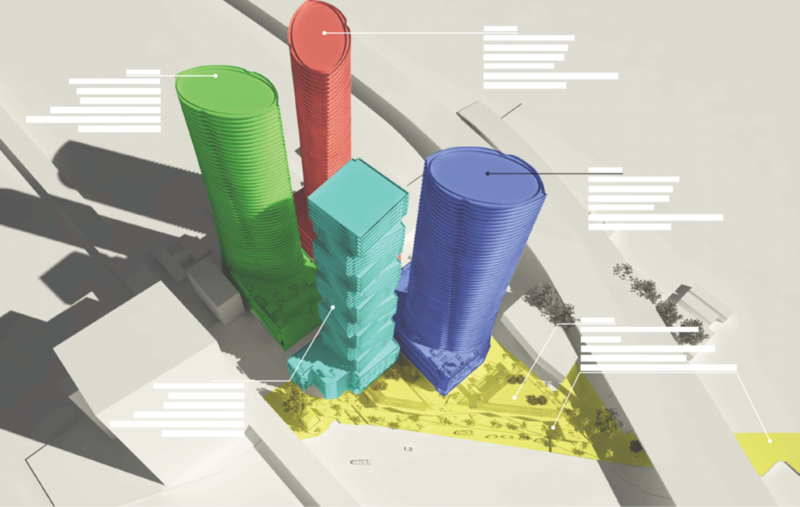 Miami architectural firm Kobi Karp is designing the project, which will be done in 5 phases. 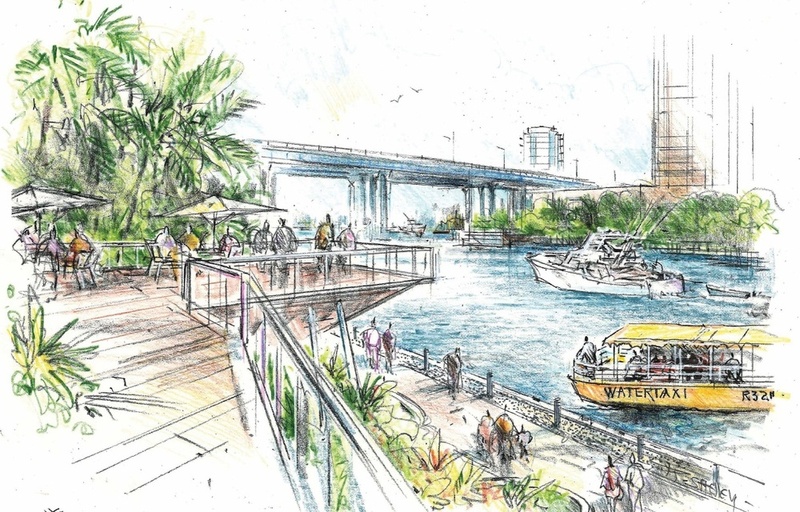 Included under phase 3 will be the addition of a public riverwalk that will connect to the condo Latitude on the River, on the other side of the bridge. 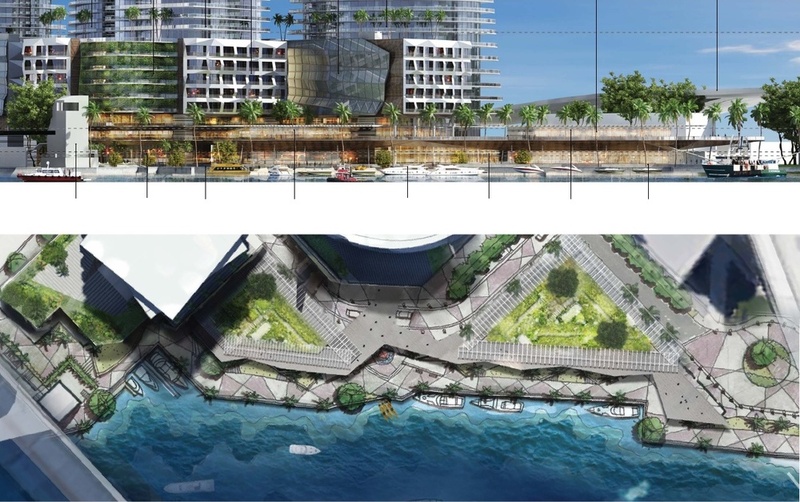 Also interesting is that they will be creating a new street in the middle of the whole project. 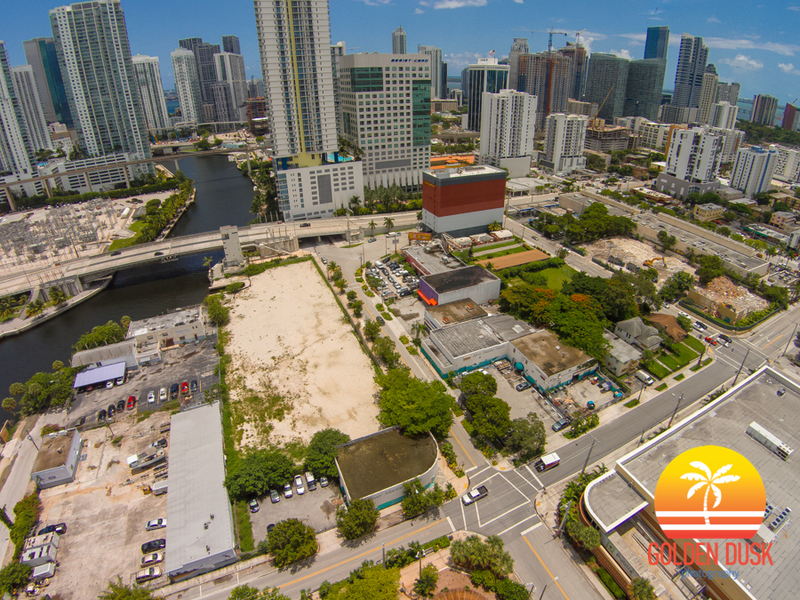 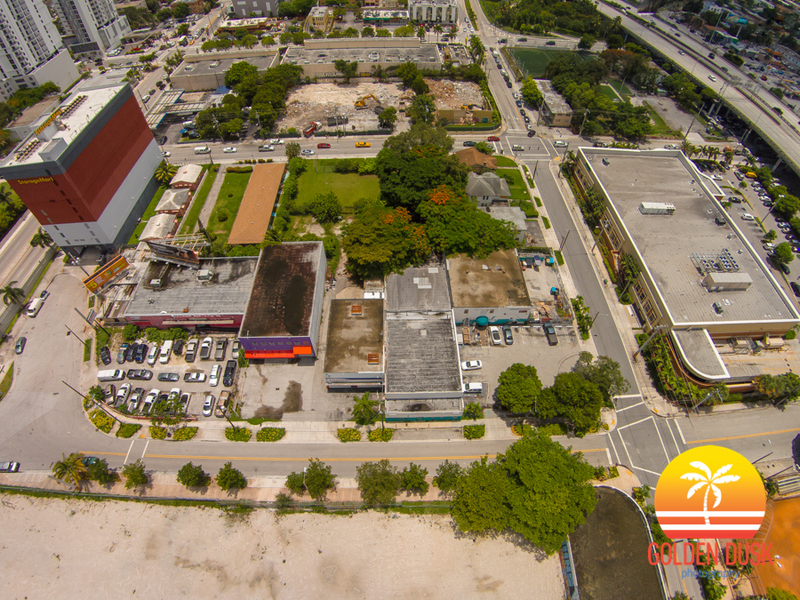 The project is located on an emerging part of town that is just east of I-95, a few blocks west of Brickell City Centre and across the street from a Walgreens that is soon to begin construction.